Jesmond Engineering has a wealth of experience in a wide range of engineering projects. Links to a examples of case studies are provided below. 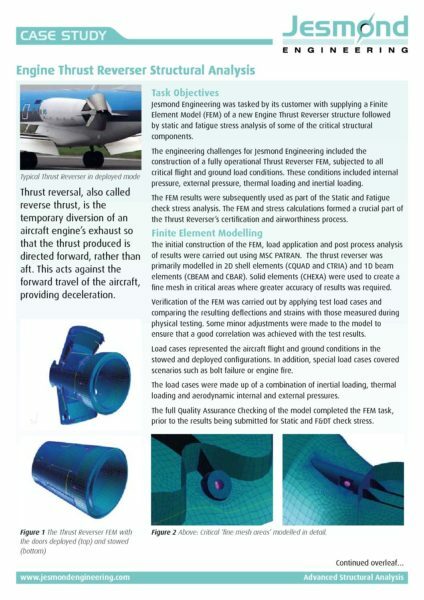 Jesmond Engineering supplied a Finite Element Model (FEM) of a new engine thrust reverser structure followed by static and fatigue stress analysis of critical structural components. 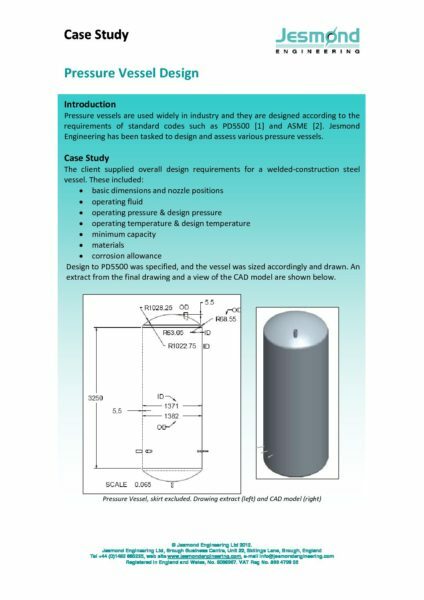 Jesmond Engineering was tasked to design and assess various welded steel pressure vessels. Finite Element Analysis was used to check some of the vessel features. 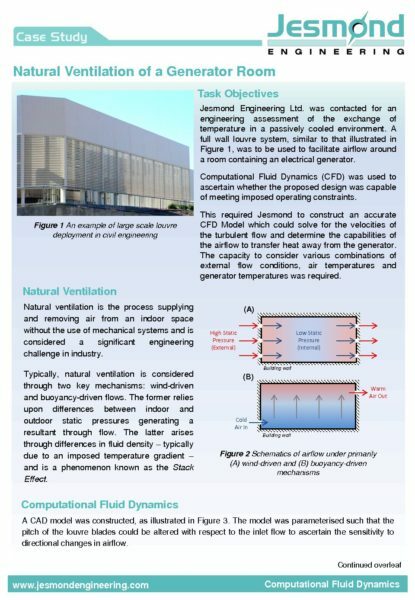 Jesmond Engineering carried out an engineering assessment of the exchange of temperature in a passively cooled environment. 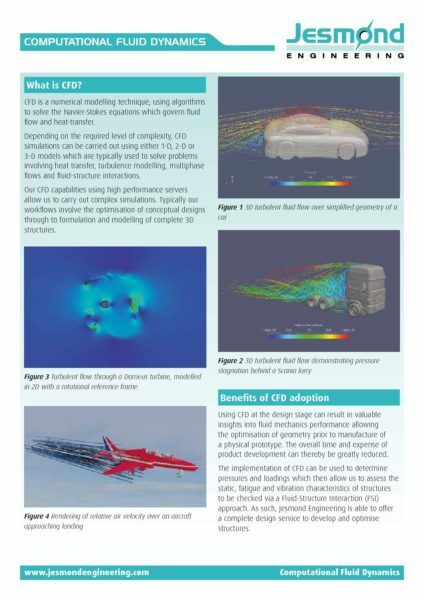 The design was assessed using a Computational Fluid Dynamics (CFD) model. 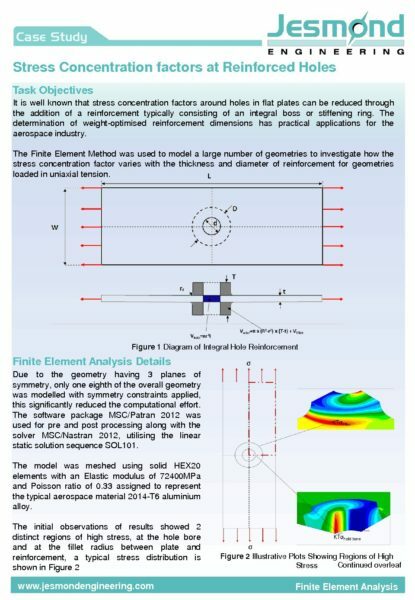 Using Finite Element Analysis techniques, Jesmond Engineering modelled a large number of geometries to investigate variations in stress concentration across various specifications of aerospace material. Computational Fluid Dynamics (CFD) and Finite Element Analysis (FEA) are two of the principal services offered by Jesmond Engineering. This leaflet provides a brief overview of their application and benefits. 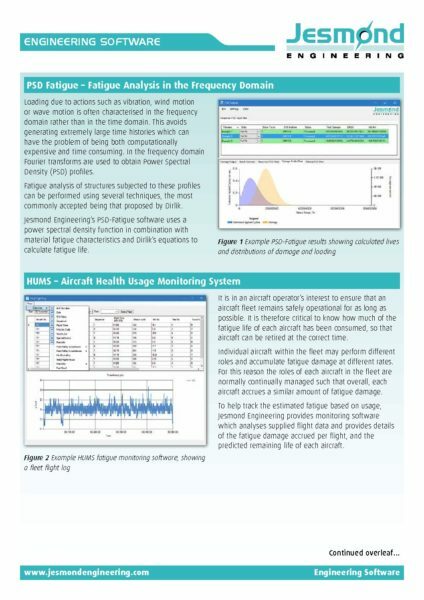 This leaflet provides an insight into some of the bespoke engineering software that has been developed by Jesmond Engineering on behalf of our customers.